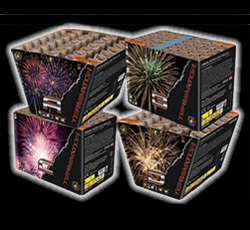 A range of specially designed finale items to bring your show to a spectacular climax. Row after row fan skyward with stunning shots of crackling flower tails to red stars with crackling, crackling flower tails to green bouquet, colour mines to colour peony, green tails to silver spinners and champagne crackle with a finale of whistling crackle tails to crackling white bouquets, fast paced for 30 seconds. 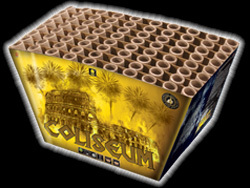 NEW This massive 120 shot exhibition firework launches breathtaking sequences of multi colour mines to brocade crown, blue tails to brocade, silver blink willow to green strobe, titanium gold blink willow with multi colour mine with crackle flower mine to crackle flowers. Duration approximately 2 minutes. 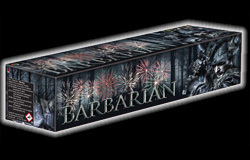 NEW This immense compound firework consists of three linked 45 shot barrages that fire simultaneously. 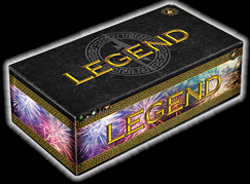 Creates a show stopping display of red dahlia with silver glitter, brocade crown with glitter and blue with gold glitter all in 30 seconds - making your firework display ‘LEGENDARY’! 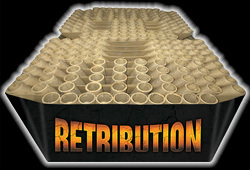 This combination pack of two angled and two straight firing barrages provides a stunning show. 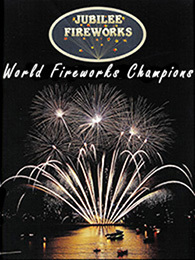 Cake A fires gold brocade with blue stars to silver spinner comets from left to right. Cake B fires straight up with a mix of gold willow cascade and white, green and red strobe stars. Cake C fires straight up - stunning crackling tails to silver strobe and dragon eggs with a brocade finale. Cake D fires from left to right silver spinner tails to silver strobe, brocade to green stars and blue. Total duration approximately 2 minutes. 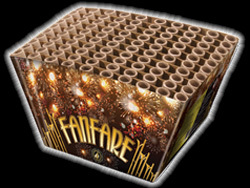 Our largest firework ever is a 200 shot compound ‘cake’, offering a varied firing patterns and massive professional quality breaks, with a variety of effects including blue/red stars with blink, blue tail to blue star to brocade crown, green tail to green star brocade, silver whistling, colour tails to gold blink, colour coconut to chrysanthemum breaks and silver whistling. Immense, loud and full on! 80 seconds duration.